When we watch television, we often get to know everything we can about our favorite shows and stars. However, watching TV also means that we are exposed to countless commercials, and we rarely give them as much thought and attention as we give to the shows we love. Maybe we didn’t realize it, but there are some commercials that have become imprinted in our minds forever. We know how the tune goes and the names of all of the characters. We even find ourselves singing the jingle in our head every once in a while. But how much do we really know about our favorite commercials? 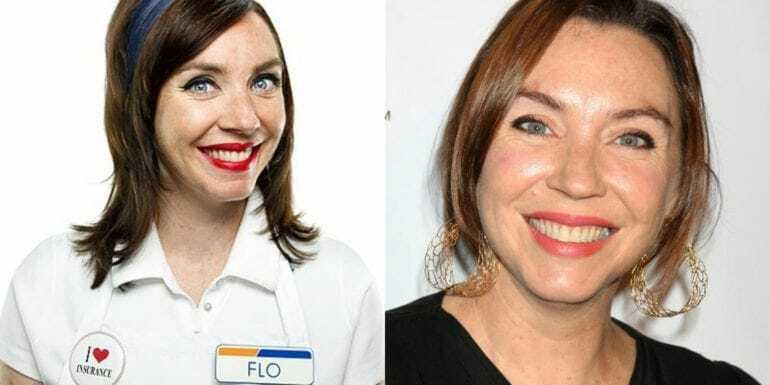 We’ve collected the most beloved commercials on television and dug a little deeper to get the skinny on the actors behind the characters we all know and love; it was an interesting find, to say the least. The commercial that launched a thousand memes! The Dos Equis beer commercial initially wanted a young stud for the role of their on-screen representative. 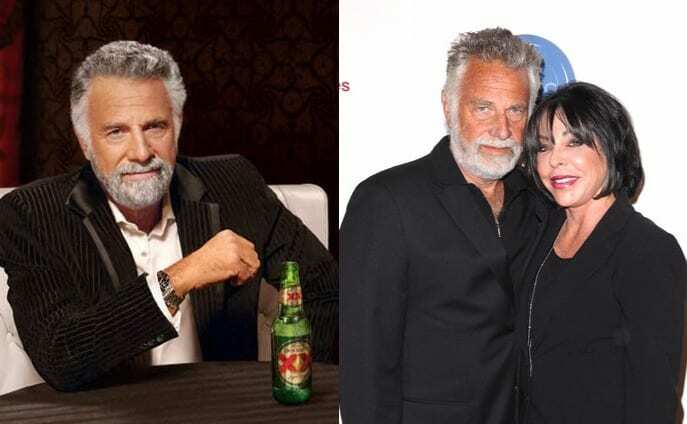 In the end, they went with actor Jonathan Goldsmith when his wife and manager told producers that if they wanted to cast someone with the title ‘the most interesting man in the world’, they needed someone with more experience and look to him than a young 20-something, and she was right! Goldsmith has been the perfect rep for the beer, and the image of him over the beer in the commercial has had many a folk adding text to the image, making it a funny meme. Magnum ice cream is without a doubt probably the greatest tasting ice cream on a stick the market has to offer. 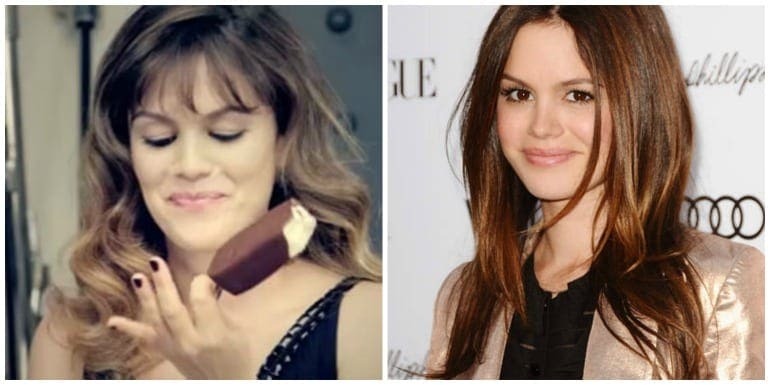 So when Magnum used actress Rachel Bilson to promote their product in a commercial, we thought it only appropriate considering she is sweet as can be! Bilson has been on television shows like The O.C., That 70’s Show, Hart of Dixie and Gossip Girl. She was also in films like New York, I Love You, and The To Do List. GoDaddy is known for their use of stunning, and lightly dressed women in their commercials. This one was no different. The domain name selling website decided that using beautiful women in their ads would boost sales, and it probably worked. Here we see actress Rachelle Wood being used for that year’s commercial. Wood is an actress with credits such as, How I Met Your Mother, Ghosts of Girlfriend’s Past, It’s Always Sunny in Philadelphia, and Rules of Engagement. 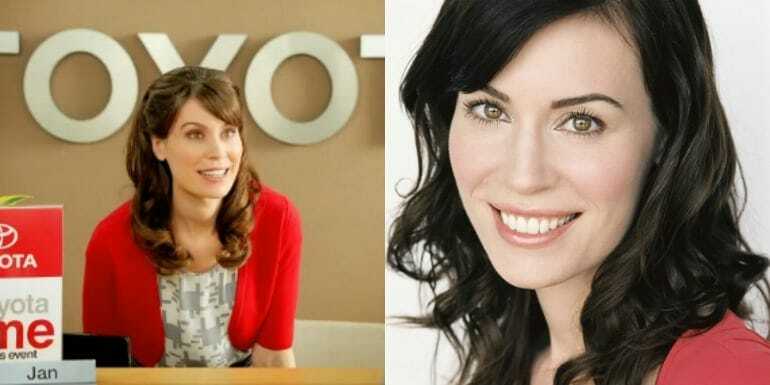 Courtney has been in other comedy shows on Adult Swim, such as, Tom Goes to the Mayor, and has also played the role of Marge on the AMC hit show, Mad Men. Courtney is all about the sketch comedy, as she would with her knack for it, and has been a part of The Groundlings, a sketch theater in Los Angeles. 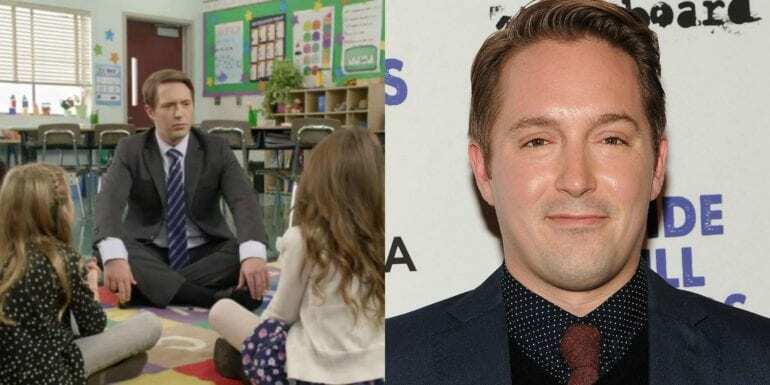 Beck Bennett is the guy in the AT&T commercials, stating that “It’s not that complicated”. You may recognize Bennett from his Saturday Night Live sketches, which he plays out along with other famous comedians till this day. He made the AT&T commercial infinitely better with his straight-faced yet hilarious approach to complex situations that are in fact very simple. Bennett has also been on shows like Arrested Development, and films like Zoolander No. 2, and The Late Bloomer. Every Old Spice commercial comes with a very good looking, classically rugged, American man. The one talked about more than others is the one with Isaiah Mustafa. 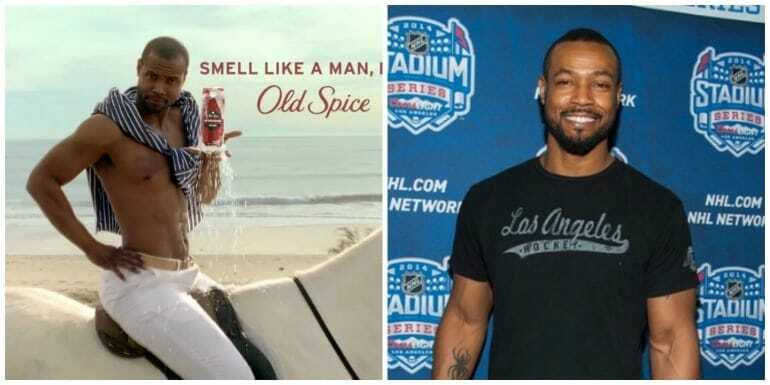 Prior to his role as the Old Spice guy, he was with the NFL for a short time, as well as had some small parts in productions like Ugly Betty. Using a former athlete for the commercial was a smart move on the side of Old Spice, appealing to men and women alike. We all know the Orbit gum commercial. The woman behind the line, “just brushed, fresh, clean feeling. Fabulous!” is actress, Vanessa Branch. The Orbit commercial is one of the best on the market and is still running in the US. Branch has also been in other productions, such as The Pirates of the Caribbean. where she plays the role of the woman slapping Captain Jack Sparrow over something he did in the past that he deserved. In 2013, Bar Rafaeli did the unthinkable during a Superbowl commercial for her new Go Daddy commercial. 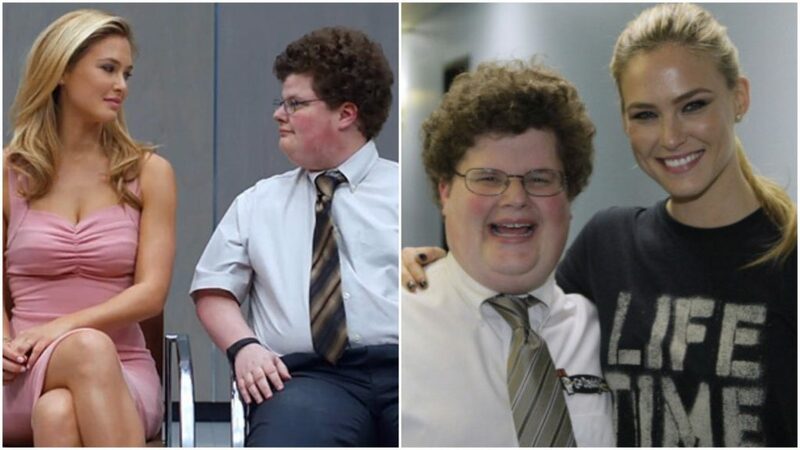 The most jaw-dropping scene in the 30-second spot was the 10-second long kiss that Bar shared with her on-screen nerd, Jesse Heiman. It took 60 takes to get this kiss perfect and following the commercial shoot’s wrap, rumors began to swirl that Heiman was the one trying to get more takes in! Apparently, Bar wanted to keep going, too, until the shot was perfect. Commercials for fast food chains were a thing back in the day, and as such, they needed actors to be in them. Here we see actor Steve Carell in the Brown’s Chicken commercial, explaining to us just how delicious their food is. 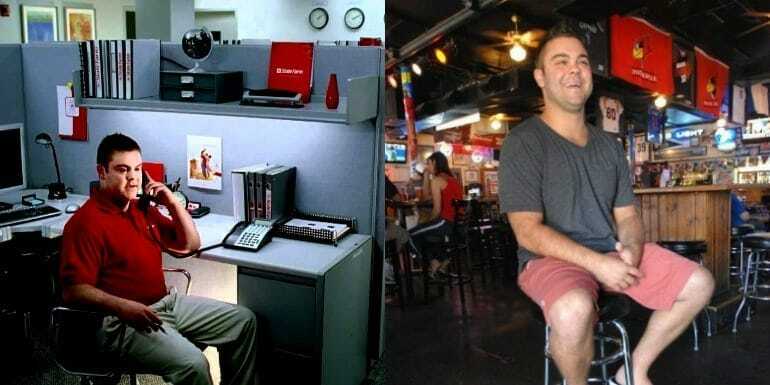 He played the role of an employee who was just plain happy about working there. 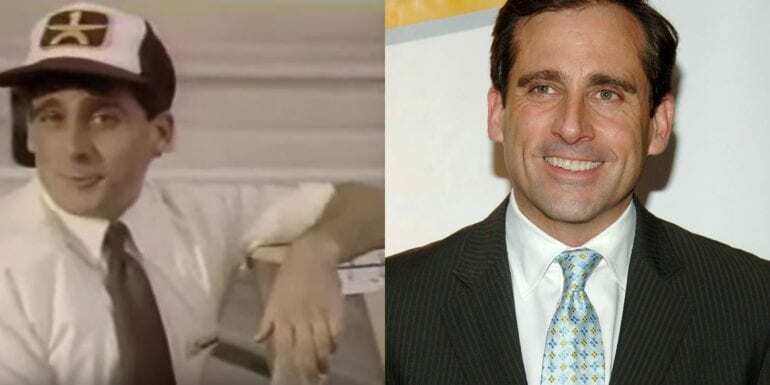 These days, Carell has been in television shows and films like The Office, The 40-Year-Old Virgin, Evan Almighty, and Crazy, Stupid, Love. Insurance is an important element to have in your life, and the Allstate man makes sure you know it. 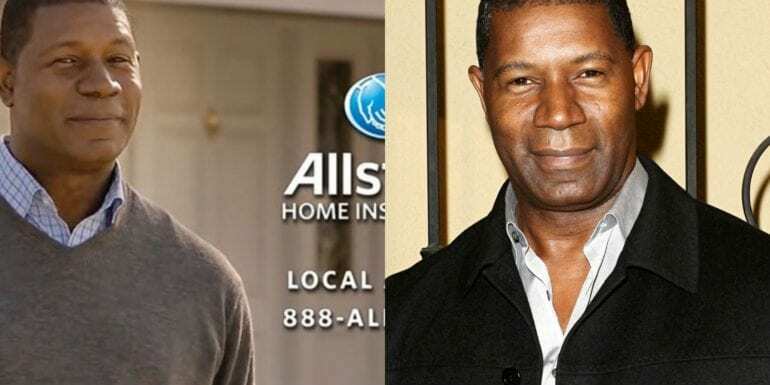 Actor, Dennis Haybert is the man behind the Allstate man. Most people don’t realize that he does way more than just the occasional commercial. Dennis has played the President of the United States on the show 24, as well as the character of Pedro Cerrano in the Major League film franchise. 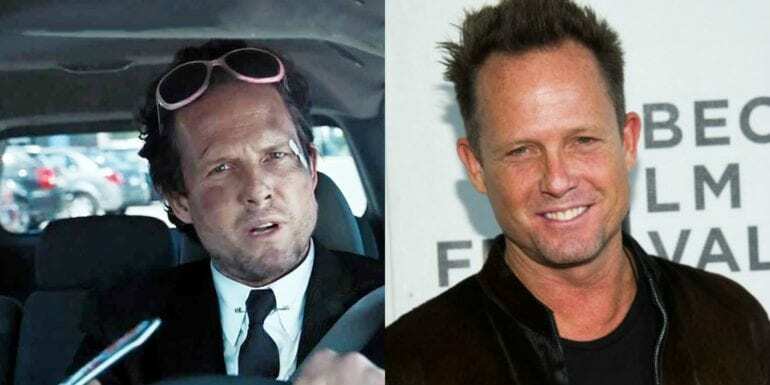 Mr. Mayhem, also known as Dean Winters, is good at getting his body hurt in the Allstate commercials, that’s a fact. However, outside of being the Allstate disaster guy, he has been on shows like Oz, 30 Rock, and Law and Order: Special Victim’s Unit. He is able to transition from drama to comedy to satire in a pretty easy way, making him a talent and asset for any commercial. Pringles have been around for a while now. Here we see a young Brad Pitt one of the earliest Pringles commercials. Obviously, Brad would go on to be a very successful and talked about actor, even if for slightly less positive things like divorce and the like. He has been in hit films like, Thelma & Louise, Legends of the Fall, Interview with the Vampire, Ocean’s Eleven, The Curious Case of Benjamin Button, and World War Z, to name a few. The Pine-Sol commercial wouldn’t be complete without the Pine-Sol lady! 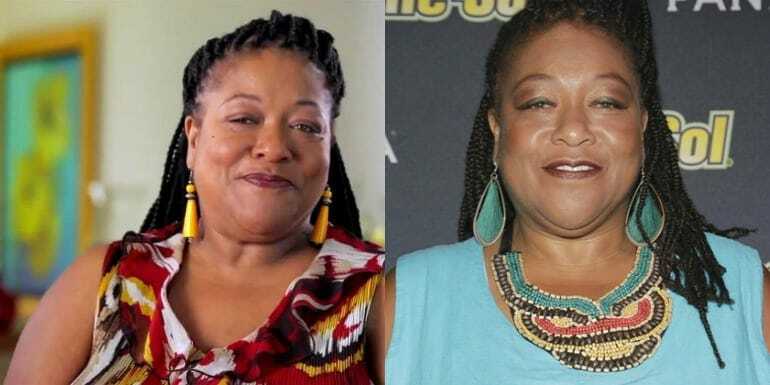 The actress who plays her is named Diane Amos and has been in films like Patch Adams, Blue Jasmin, and Sweet November. Many people know her just from the commercial as that is her most up front role, with the focus on her more than anything else. The Pine-Sol cleaner wouldn’t be the same without her, that’s for sure! 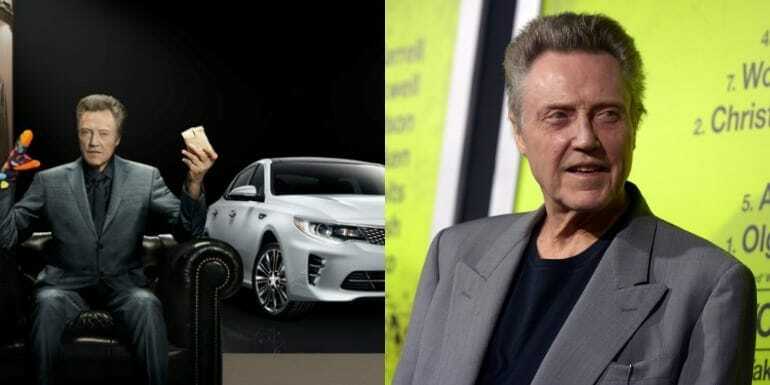 Kia must have paid big bucks to bag an actor like Christopher Walken to be their representative. Walken is a legendary actor in Hollywood, with credits like Sleepy Hollow, Batman Returns, The Stepford Wives, Catch Me If You Can, Seven Psychopaths, and The Deer Hunter (for which he won an Academy Award for!). Anyway, Kia is using Walken’s name to get more sales, and it’s probably working too. Burger King is still one of the biggest and most successful international chains of fast food there is. 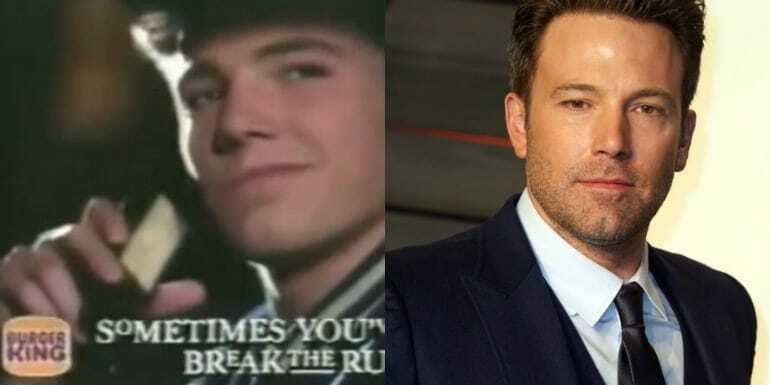 Back in the early 90s though, they saw a handsome actor named Ben Affleck and took him to be their Burger King King! Here we see him at the drive in, ordering himself a delicious meal, while looking not too bad himself. These days he is an award-winning actor with a long list of credits to his name. We wonder if even he knew what he was going to become. 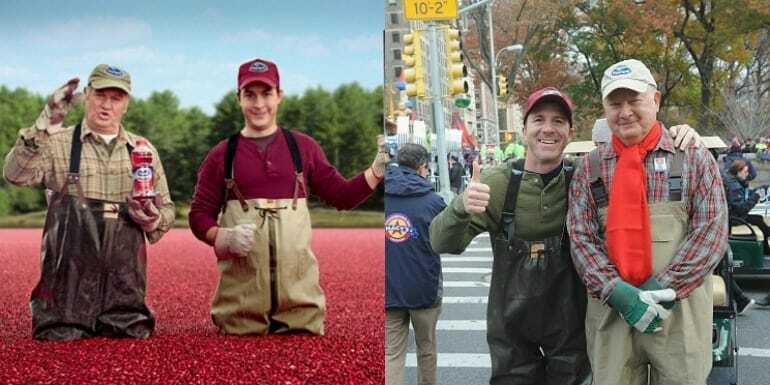 The have a southern accent and get tired of one another very fast, but that’s just the two characters in the Ocean Spray commercial. In real life, Justin Hagan and Henry Strozier are just two actors who got thrown together to make a great commercial for the American public. Here we see them in the commercial and off-screen, still dressed to the nines in their rubber coveralls and baseball caps! 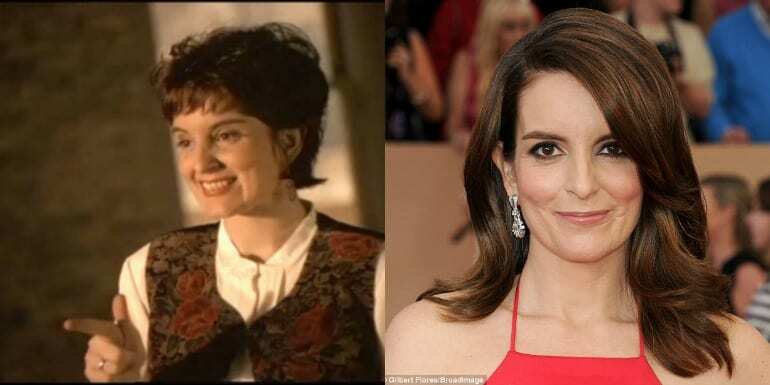 Only Tina Fey can pull off a terrible 90s mom haircut, vest, and oversized shirt, and live to tell the tale. Tina was cast as the Mutual Savings Bank representative. Thankfully, the Saturday Night Live actress moved on to much funnier and greener pastures, making us laugh on the daily and sharing with us her brilliant writing works in the form of hit films like Mean Girls. This commercial for Corn Pops was sent forth into the media sphere back in 1999. We all love and remember Corn Pops, but do we remember the actor who played in the commercial? He sure does look familiar now! 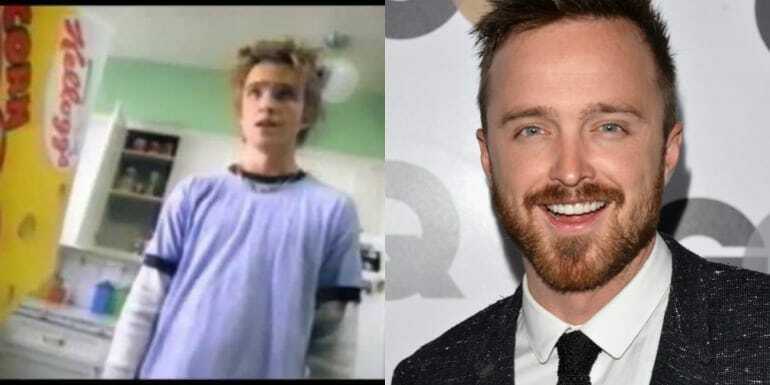 Actor, Aaron Paul was the young man in the commercial, and is now known for his role in the hit television series, Breaking Bad. He has most certainly come a long way since him commercial days. 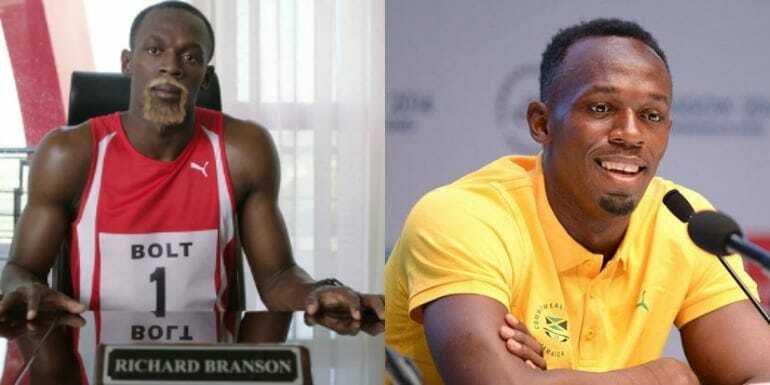 Richard Branson made the brilliant move of casting the world’s fastest man, Usain Bolt, for his commercial that is all about internet speed. He used the fastest man alive to test the fastest internet available and thus show the world that they need it! Virgin Mobile made a smart move with this casting, for sure, and if the connection is as fast as Bolt, we are totally in! Coca-Cola had no idea who they hired when they asked Keanu Reeves to be their Coca-Cola boy for this commercial back in the 80s. 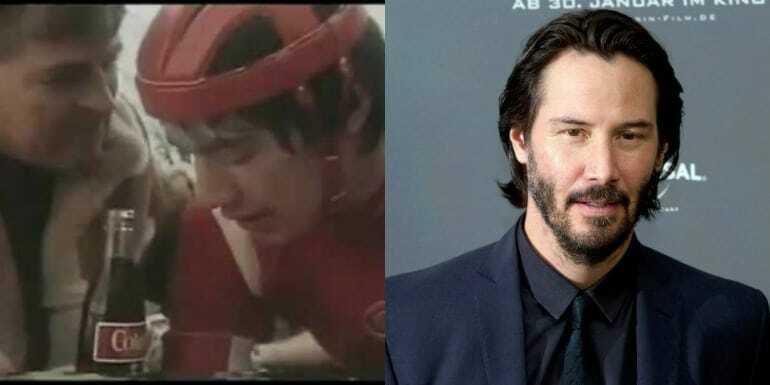 This was before Keanu was a big deal, before Speed, The Devil’s Advocate, The Matrix, and John Wick. In the commercial, he is just a simple young boy who wants a drink of Coke from the Coca-Cola giant. 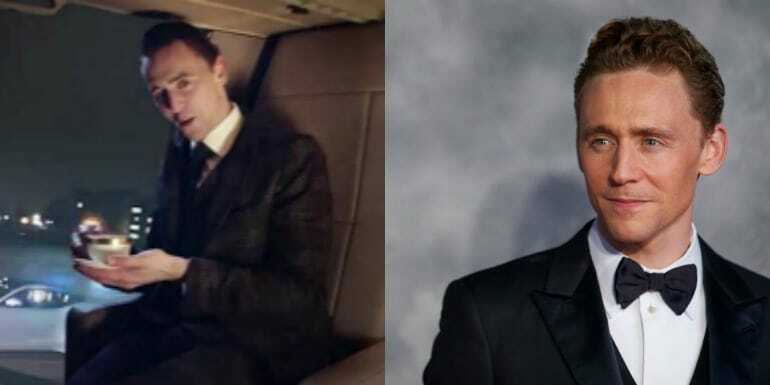 The luxury car brand, Jaguar, hired actor, Tom Hiddleston, way before he was the famous guy we know and love today. He was the face of their commercials a few years ago, before his role as Loki in the Thor films, and a long time prior to his high profile relationship with actress and singer, Taylor Swift. As it goes in Hollywood, many a famous star started their acting game with commercials. 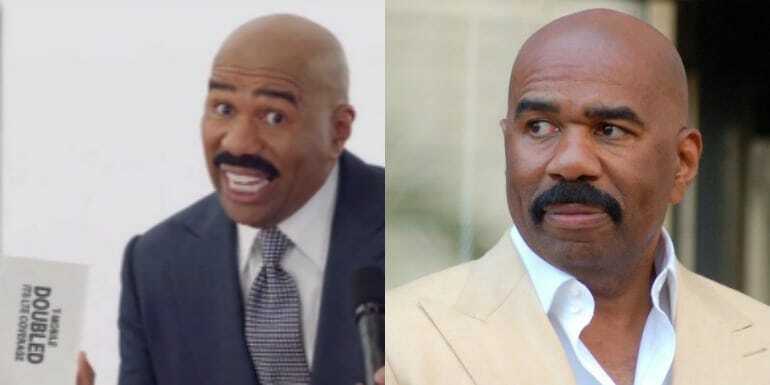 Actor and comedian Steve Harvey is the face behind the T-Mobile commercials. Known for his hosting gigs, he has hosted shows like Family Feud, The Steve Harvey Show (naturally), and the Miss Universe beauty pageant, where he mixed up the winners of all things and created a big to do all over the world! Anyway, Steve is indeed the face of the T-Mobile commercial, making us laugh and purchase wisely, all at the same time. 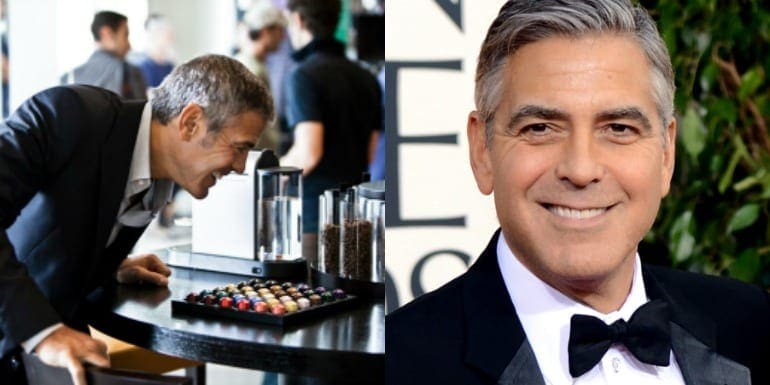 George Clooney has graced the television screens as the spokesperson for the coffee brand, Nespresso. They made a smart move going with Clooney, considering he is still considered one of the sexiest men alive. He rose to fame on shows like ER, and Bodies of Evidence. His films are what made him a household name though. He’s had roles in the Oceans movies, Michael Clayton, Leatherheads, The Descendants, and The Monuments Men, to name a small few. Toyota Jan is played by actress, Laurel Coppock. Jan is a funny, to the point kind of saleswoman in the commercial, and Laurel is just as funny in real life and other projects she does. Other such projects are, The Office, Modern Family, Crazy Stupid Love, Hot in Cleveland, Curb Your Enthusiasm, 2 Broke Girls, and Arrested Development. Laurel’s comedic timing and spot of facial expressions, make her perfect for sitcoms and sketch comedy shows, which she loves to be on. 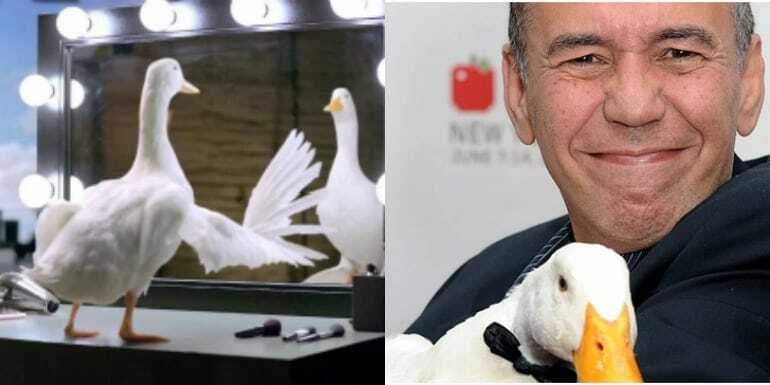 The voice behind the famous Aflac duck is the legendary voice over actor, Gilbert Gottfried. You may recognize Gilbert’s voice from Disney’s Aladdin, where he played the voice of the parrot Iago. Gilbert has been on Saturday Night Live, Duckman, The Fairy OddParents, Teenage Mutant Ninja Turtles, and Transformers: Robots in Disguise; his voice being his main money maker, in addition to his many other roles in front of the camera. 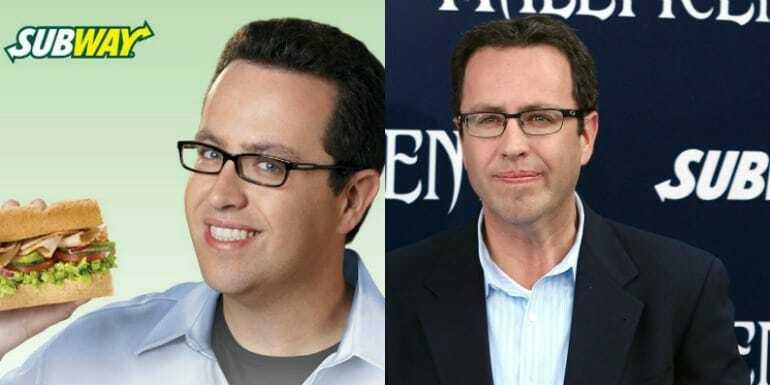 Jared became the spokesperson for Subway after he managed to lose a significant amount of weight thanks to the sandwiches. 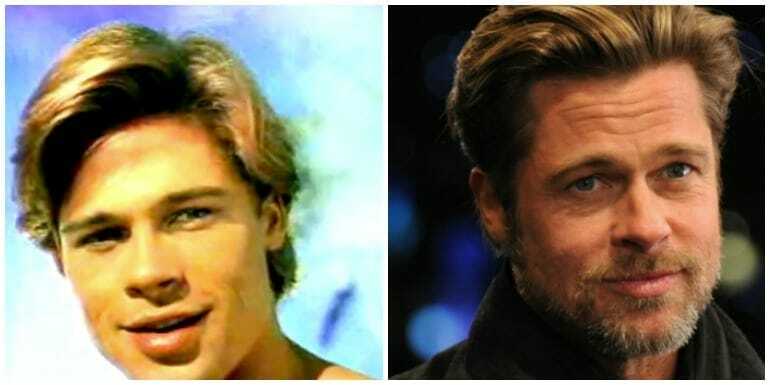 He was the face of the chain for 15 years between 2000 and 2015 and was seen in numerous commercials as well as billboards and other advertisements. However, in 2015 Jared got into a great deal of trouble with the authorities for illegal activity and inappropriate behavior. He is currently in federal prison for a minimum sentence of 13 years. During the 80s, an adorable blonde haired boy was talking his head off about how big his bubble of gum can go. That cute little boy was none other than Leonardo DiCaprio himself. 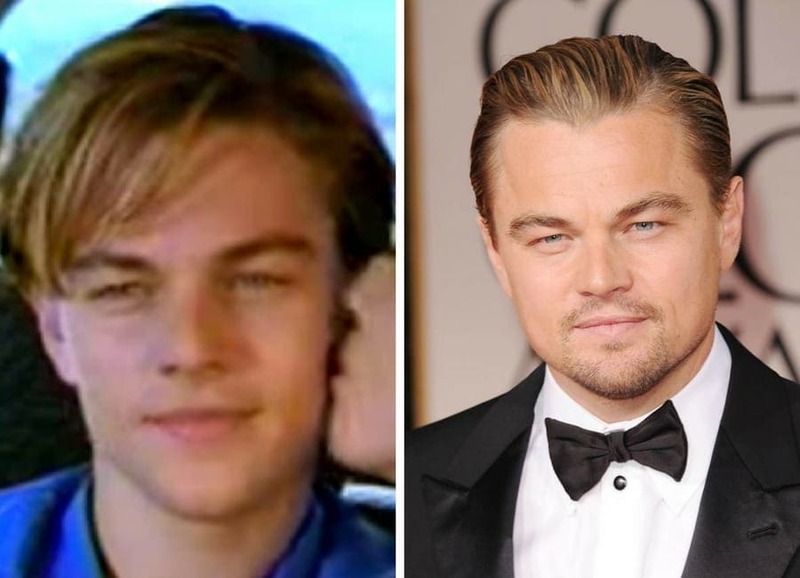 Fast forwarding to today and Leo is an Academy Award winning actor who is a huge environmentalist along the way. His breakout role in Titanic catapulted his career to the epic size it is today. 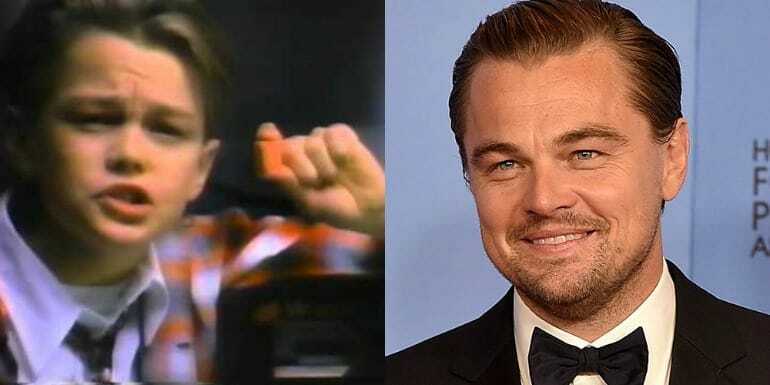 Before ol’ Leo DiCaprio stole the world’s hearts as Jack in Titanic (a death we’re still not over, by the way) DiCaprio made a few dollars as a child star in commercials you may not have seen before. As a youngster, Leo appeared in Japanese car commercials and starred in one for Honda where he embarked on a road trip with his Japanese girlfriend. Nowadays… well, we all know Leo. He’s still incredibly famous, appears in numerous films, and has FINALLY got his Oscar. 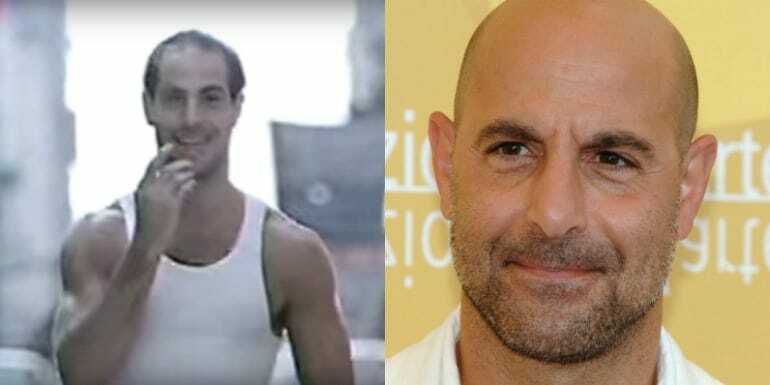 Before he was an Academy Award nominated actor, Stanley Tucci was the male lead in the Levi’s commercial nationwide. These days you will recognize Stanley from his roles in films like The Hunger Games franchise, The Lovely Bones, Captain America, Julie and Julia, and The Devil Wears Prada. He has also had a long list of roles in television, including, ER, 30 Rock, Monk, and Frasier. Time Warner Cable is the provider of entertainment for millions of American families. 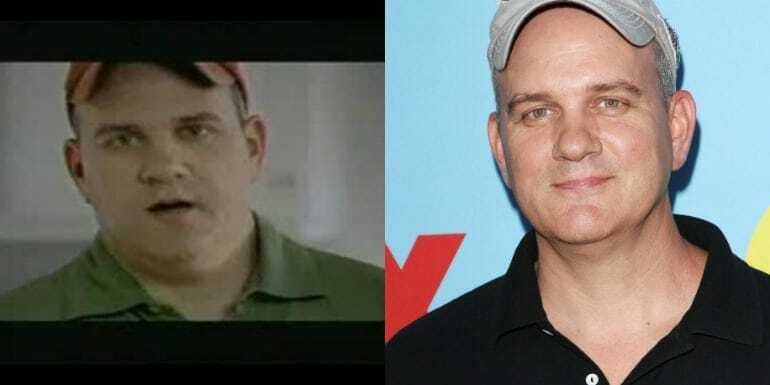 In their early days, they used actor Mike O’Malley as their ‘repair guy’ in a commercial that was aired. O’Malley is a very busy actor these days, starring in television shows like Glee, My Name is Earl, and Parenthood, as well as films like Sully, R.I.P.D., Eat Pray Love, and Leatherheads, alongside George Clooney and René Zellweger. Fast food chain, Wendy’s, has some pretty delicious curly fries if you ask us. The chain opted to commercial production when their sales lowered and used an actor, as a funny customer of theirs. 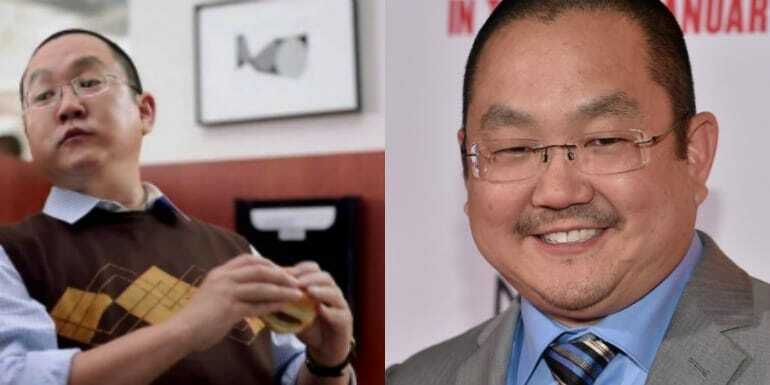 Takahashi is known for his roles in comedies, such as Yes Man, alongside Jim Carrey, The Wedding Ringer, television shows like, New Girl, Conan, Mr. Robot, Sin City Saints, and Dog Park. He is one busy guy! 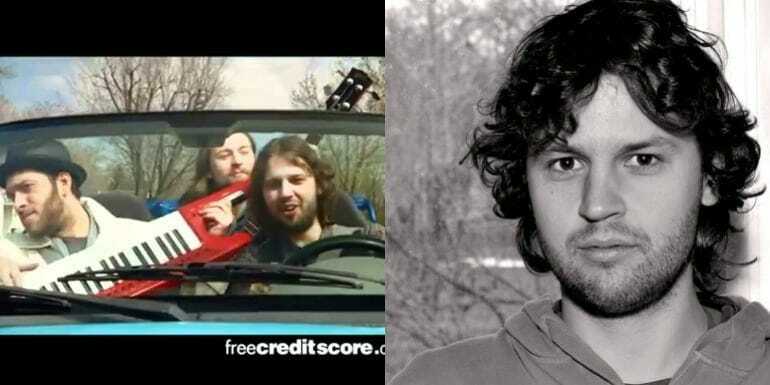 For those of you who watch television, you must have seen the freecreditscore.com commercial with the singing guys. The catchy song, which in fact gets stuck in your head, is acted out by Eric Violette. Eric doesn’t sing the song because of his heavy French-Canadian accent, but lip syncs to entire thing with impressive believability. Violette is a musician and actor in real life. ‘Can you hear me now? Gooooood’. That is probably the most recognized commercial and line on American television. 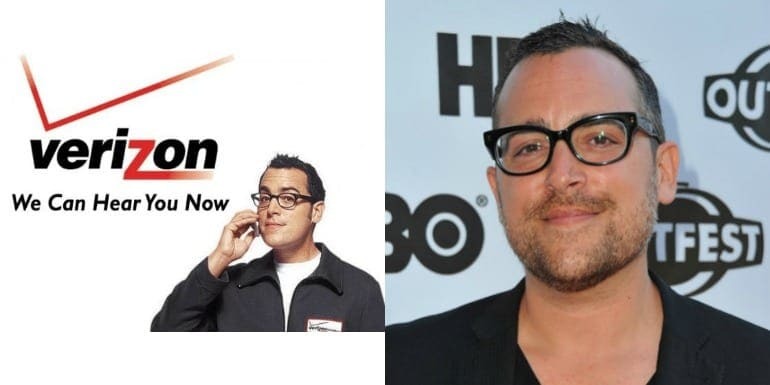 Actor, Paul Marcarelli was the face and voice behind the line and was the actor in all of the Verizon Wireless commercials. We say ‘was’ because Verizon is no longer in contract with him, as they decided to go in a new direction with their advertisement. So what did Paul do? Sign a contract with Sprint, Verizon’s competitor of all things. 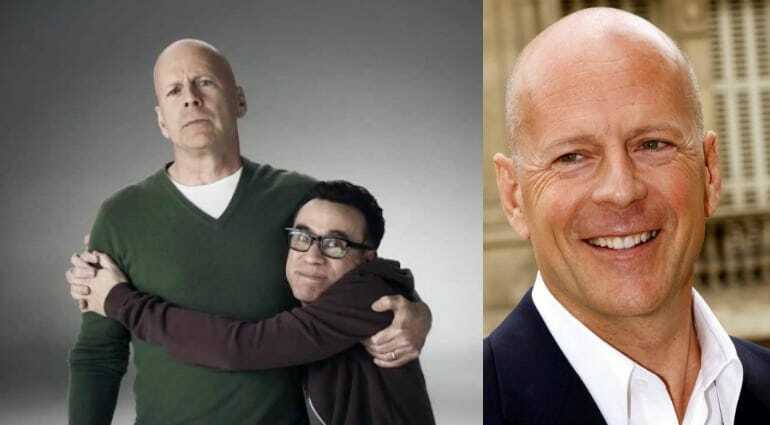 In his Sprint commercials, he states that he moved from Verizon to Sprint. Ouch. As if PlayStation needed any advertising, what with every child and teen (and sometimes adults) being totally obsessed with the games. 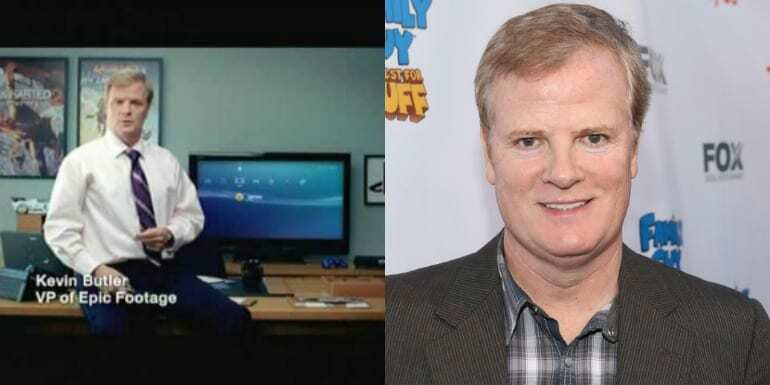 Nonetheless, the PlayStation 3 commercial, performed by actor, Jerry Lambert, is one funny commercial. Lambert has been in a ton of shows and films over the years. His credits include, Modern Family, Family Guy, Horrible Bosses 2, Shameless, Bad Teacher, and Everybody Loves Raymond. Sham Wow is the amazing mop that does it all! 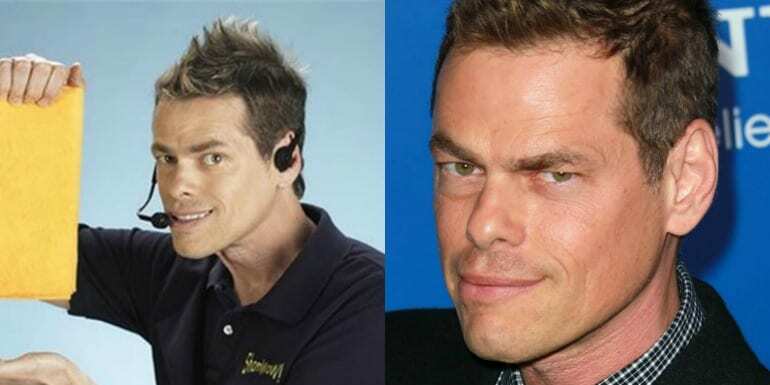 Actor, director, comedian, and writer, Vince Offer, is the guy in the commercial who shows viewers what the mop can do. Offer is the writer, director, and actor in other commercials, basically being an advertising giant in all aspects of commercially based productions. Little known fact: the products he represents in his commercials are all owned by him. Just like there’s a Wendy’s guy, there’s a Wendy’s girl. The naturally blonde actress, Morgan Smith Goodwin, was a red head for the commercial, so as to look like the Wendy’s girl in real life. Her job was to make us want their chicken sandwich, and she did her job VERY well. Goodwin has landed other gigs, such as the film, Circumstance. Despite being in other productions, it’s Morgan’s role as the Wendy’s girl that got her noticed. You know the State Farm commercial, when a guy calls Jake from State Farm for advise all the time and his wife is suspicious that he is cheating on her? Well, this is Jake from State Farm. Jake Stone was just a regular guy when he was in the 2011 State Farm insurance commercial. The public’s reaction to him was astounding because he was so believable and down to earth. Stone is a bartender in real life, in a town called Normal, in Illinois; check if you don’t believe us. The Mac versus PC commercial was a smart advertising move on behalf of Apple; where two guys compare the two computers, and (obviously) brings out the Mac as the top contender. Actor, humorist and writer, John Hodgman, played the role of the PC, whereas actor, Justin Long, plays the role of the Mac. 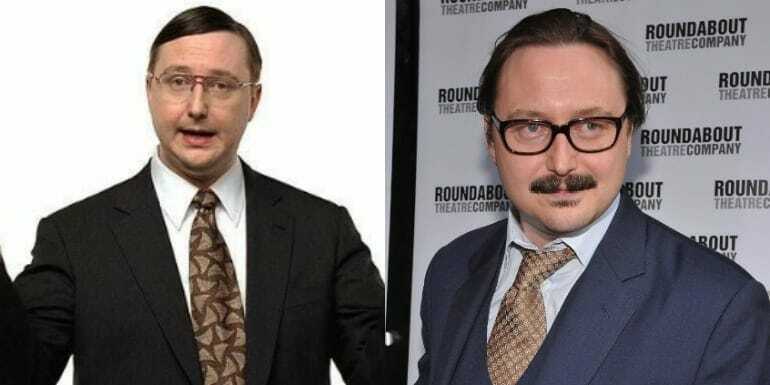 Hodgman is also known for his role as a correspondent on The Daily Show with Jon Stewart, on Comedy Central. Actress Jennifer Aniston was the spokesperson for Smartwater. Other than the water really being delicious and the bottle beautifully designed, using Aniston and all her star power was a brilliant move on behalf of the companies advertising department. Most recently, Aniston has been in films like, Cake, Horrible Bosses, Wanderlust, and We Are the Millers; but honestly, we know her as Rachel from Friends, more than anything else. Beyonce is dominating the music scene with her hit songs, so when she was approached to be in the Pepsi commercial that would appear during the Super Bowl a few years ago (and was paid very well for it), she, of course, said yes. 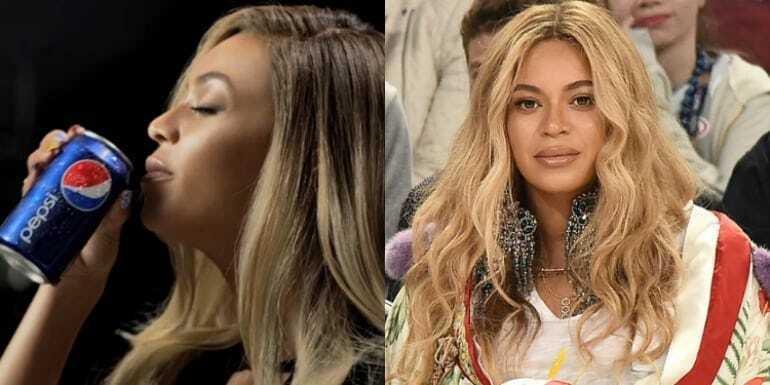 Beyonce doesn’t only sing, she acts as well. Her major film role, that got her critical acclaim both for her acting skills and original song, was the film Dreamgirls, which she starred in alongside Jennifer Hudson and Eddie Murphy. 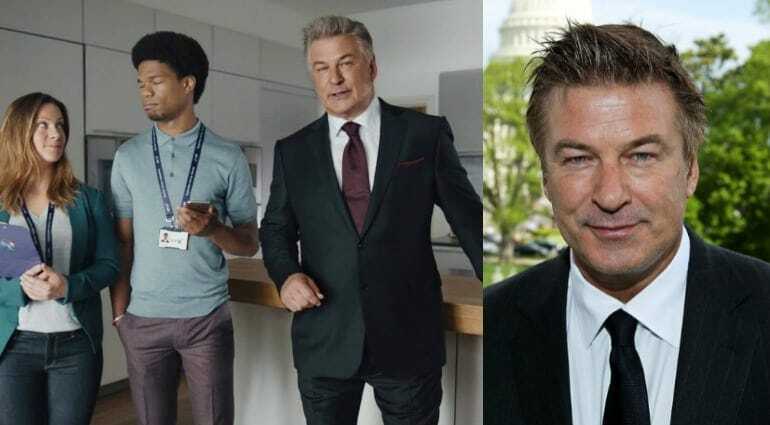 Leave to Alec Baldwin to land a commercial where all he does is talk in witty lines. Baldwin gives the commercial viewer information about BT Mobile, a British WiFi, and 4G supplier. Balwin delivers his lines with a matter-of-fact tone but somehow manages to add a certain comedic edge that reminds us of his time on 30 Rock with Tina Fey. 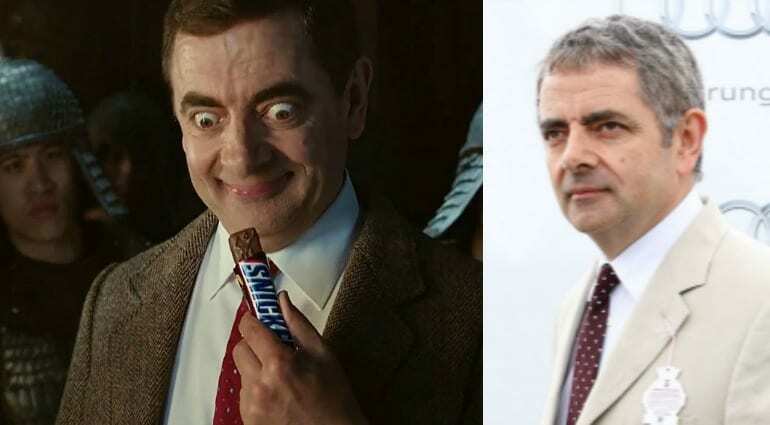 Mr. Bean, also known as Rowan Atkinson, was just one of the stars to appear in a Snickers commercial over the years. The famous Snickers punch line – “You’re not you when you’re hungry”, was applied to Rowan as he was surrounded by Kung Fu warriors while he was just standing there confused. We later learn that he just isn’t himself and once he eats the Snickers he turns back to being a Kung Fu warrior himself. Back in 2005, Paris Hilton appeared in the fast food chain, Carl’s Jr.’s ad. The burger place knew what would sell (and what would outrage certain people) and put Paris in their commercial where she chowed down on a burger while washing a car in a bikini. We don’t have much to say about this but we know that Paris’ power worked since they asked her back in 2014 and continued to cast other stunning women in bikinis as their representatives in commercials. 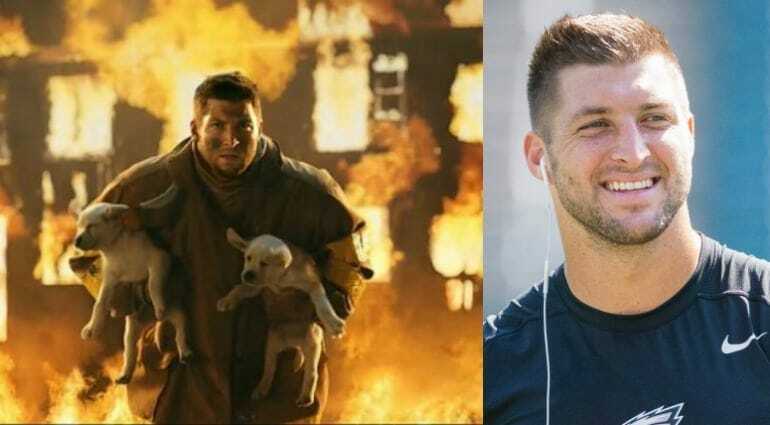 Former NFL player, Tim Tebow, landed a starring role in a T-Mobile Super Bowl commercial where he was carrying puppies out of burning building. The T-Mobile ad was entirely text and stated, “Maybe next year we’ll do an ad with overpaid movie stars.” It was funny for a little bit but there were more people concerned with the outcome of the game than seeing Tebow rescue puppies. 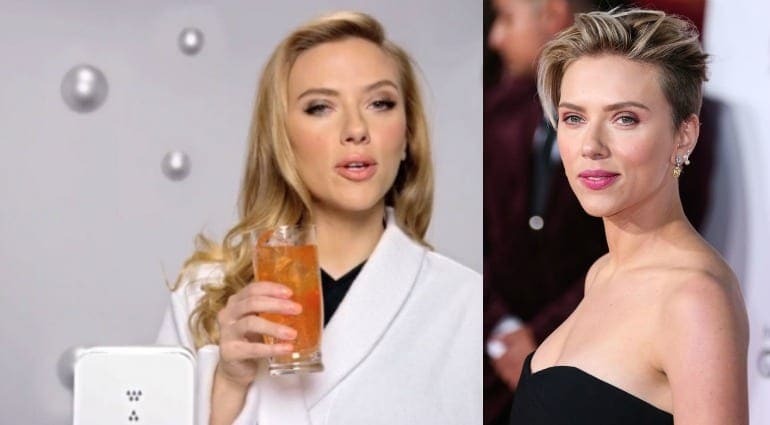 In a now-controversial ad, Scarlett Johansson played a Soda Stream scientist who praised the delicious beverage in the company’s Super Bowl commercial. Bruce Willis was the star of Honda’s 2014 Super Bowl ad for safety. In the commercial, along with actor Fred Armisen, Willis tells viewers to hug their nearest and dearest as they watch the Super Bowl game. Willis then proceeds to talk about the high safety rating Honda vehicles have in comparison to other cars. Honestly, with Bruce telling us this information we would buy in a heartbeat. 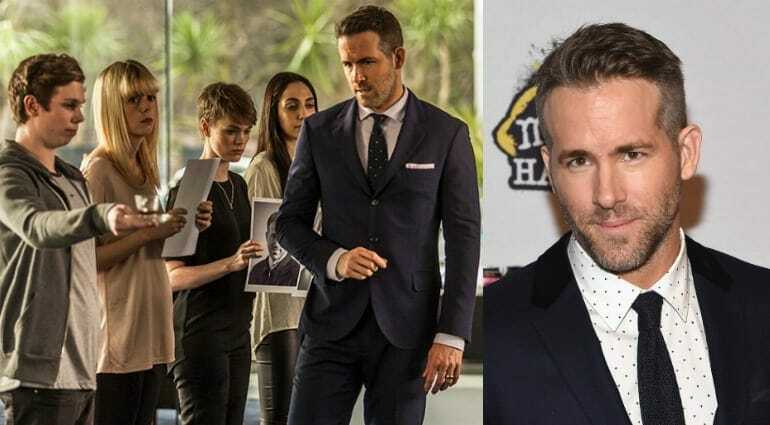 Ryan Reynolds is also in a BT ad. The company deals with WiFi and 4G services (as we stated in Alec Baldwin’s commercial for them). However, unlike the Baldwin commercial, Reynolds gives us all the feels during his ad for the mobile hub that BT offers. Throughout the commercial, Reynolds is showing us the reach of BT’s network, so much so that he is hanging from a plane for some of the commercials. Betty White. With Betty White in a commercial you know you can’t do now wrong. 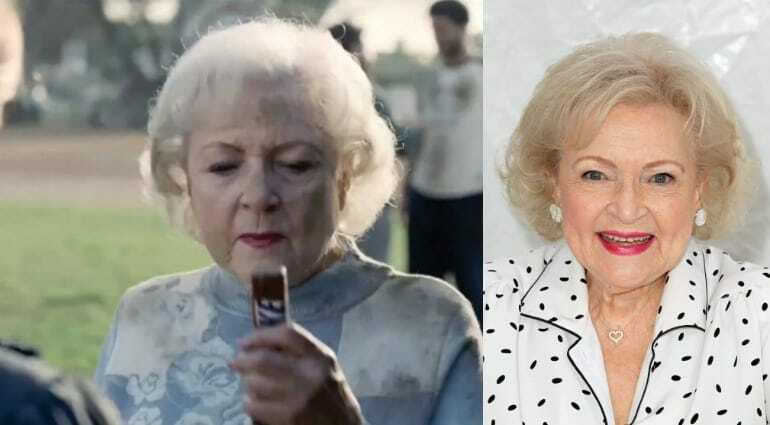 Snickers, who must have some seriously deep pockets for the amount of celebrity they are able to gather for their commercials, got White to play a football player who wasn’t exactly behaving like his usual self because he was hungry (Betty played the player while under the influence of hunger). Needless to say, the commercial was brilliant. 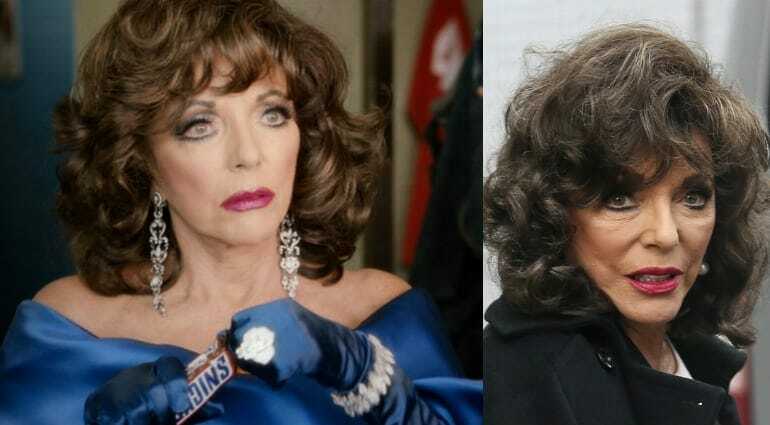 Another genius Snickers commercials come in the form of Joan Collins. In another sports themed advert where a player is acting like a complete diva with the rest of his respective players, Joan Collins plays the resident diva until the player is given a Snickers to calm everything down. Collins’ role int he commercial was perfection while Snickers’ ad team should get a raise. Before Britney Spears became an international pop star and snake trainer (kind of), she appeared in a commercial for Maull’s Barbecue Sauce – where she seems extremely excited about eating a burger. Who wouldn’t? After this, Britney became a huge name in the music industry. Following a brief stint of unusual behavior that was heavily documented in the media, and led to a lot of concerned fans, Britney is back with a bang and reigniting her music career, and is currently playing sold-out shows in Las Vegas. Lindsay Lohan absolutely smashed the child star stage. Not only did she appear (in double) in the famous film, The Parent Trap, she also appeared in over 60 commercials throughout her life. Originally, Lohan struggled to get any acting jobs, but soon producers couldn’t get enough of her iconic red hair, freckles, and cutesy personality. She most notably appeared in a Jell-O spot with Bill Cosby. Lindsay Lohan’s life = made. Nowadays, Lindsay’s career has fizzled slightly but she is still acting, and focusing more on her health and religious beliefs. Who’d have thought that the sassy, rockin’ Kristen Stewart was once a dainty little girl with bows in her pigtails? Well, before Kristen Stewart made her name for herself as a half-human, half-vampire, young Kristen Stewart appeared in a commercial for the car manufacturer, Porsche (although she was still a little sassy back then). Nowadays, Kristen Stewart is the go-to actress to play dark and mysterious females, and has recently starred in films such as American Ultra, Still Alice and Come Swim. Jodie Foster began her Academy Award acting career at the age of three years old when she starred as the Coppertone Girl. She then went on to score dozens of roles on other commercials, including a commercial for the GAF Viewfinder, which she starred in with Henry Fonda. She had her big film debut in the movie Taxi Driver and is still working as a successful actress and director in movies such as Moneyball, Elysium, Inside Man, and Carnage. She also prides herself on being a political activist and humanitarian. Go, Jodie. 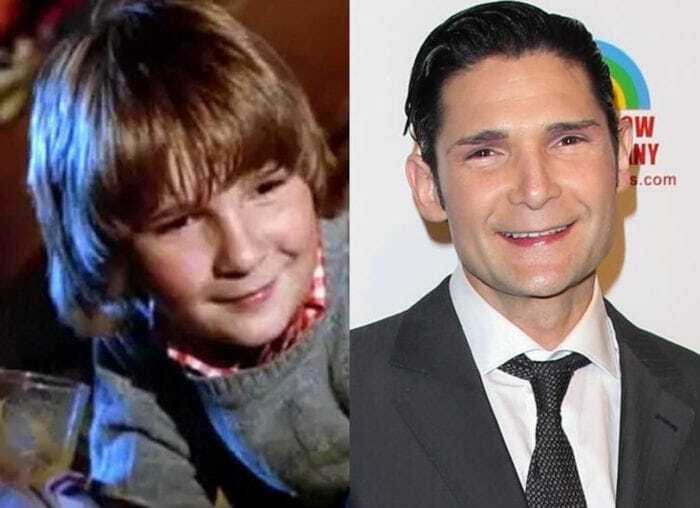 The Goonies star, Corey Feldman, starred in an adorable commercial for McDonald’s at just four years old. How cute was he? After his success as a child star, Feldman’s career seemed to die down. He attempted to break into the music business and released an album which was fairly successful, but has found more fame in his personal appearances – notably in music videos for Katy Perry and Thirty Seconds To March, as well as recently appearing on the reality TV show, Celebrity Wife Swap. Before her Buffy years, Sarah Michelle Gellar slayed the child acting scene. At just four years old, Sarah Michelle Gellar starred in a commercial for Burger King and was downright adorable. Nowadays, Gellar is still a major figure in the world of acting and played significant roles in The Crazy Ones, and the Scooby-Doo films, and is married to fellow Scooby-Doo actor and all-around hunk, Freddie Prinze Jnr. The couple have two children together and currently live in Los Angeles. 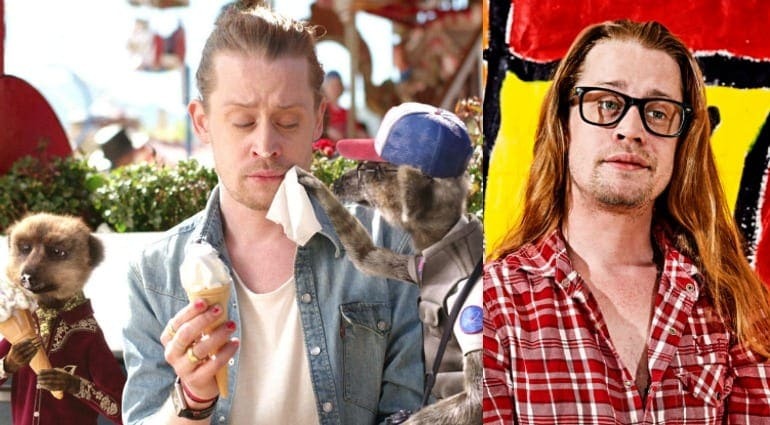 Macaulay Culkin made an appearance in the Meerkat Movie commercial alongside two adorable furry friends. In the commercial, Macaulay goes on a child’s dream day of fun, complete with ice cream, bouncy castle and ends with the furry friends taking Culkin’s two for one movie tickets. This commercial is the first acting job we’ve seen Macaulay do in years and we are SO pleased to see him back in front of the camera. The automotive brand, Fiat 500, decided to go on the classic advertising approach of beautiful woman seducing the viewer into the commercial, and therefore the car. It’s brilliant advertising for sure, and we don’t hate the fact that they hired top model, Catrinel Menghia, to be the seductress herself. When the commercial initially aired in the United States, along with the launch of the car itself, people were flocking to get their hands on the little car, and perhaps be lucky enough to catch a glimpse of the model. 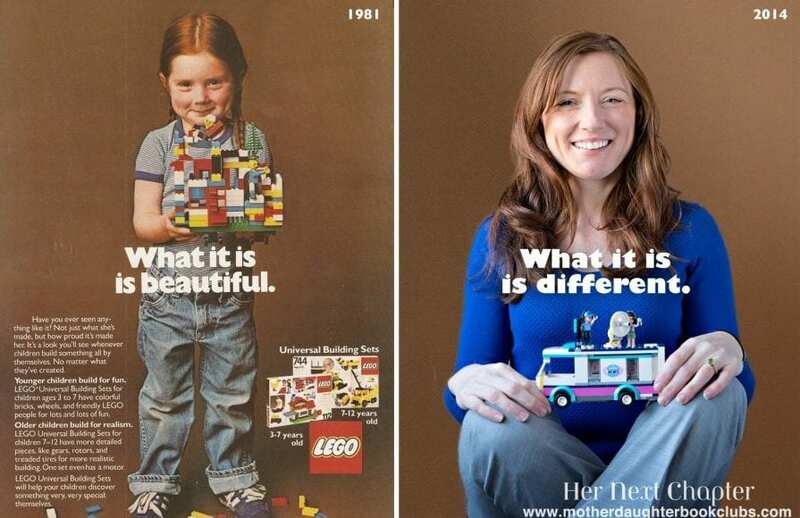 What’s even better than the fact that Lego used the same girl from their 1981 vintage ad in their 2014 ad, is the fact that the cute red-head little girl is holding a gender-neutral Lego set. Even back in the 80’s, the big brand which specializes in plastic bricks, was gender neutral. As you can see, the woman in the ad whose name is Rachel Giordano, a 40-year-old naturopathic doctor, was holding a Universal Building Set that is made for both boys and girls. We wonder if her own kids play with these colorful building blocks as well. T-Mobile has had a few people play in their commercials, but few as captivating as actress and model, Carly Foulkes. Carly brought more beauty to the commercial than needed but we are certainly glad she did. Carly’s commercial had to do with the issue of texting and driving, an important issue in today’s America. She has been with the company for several years, most recently signing on with Shakira to be corporate spokespersons. When you need car insurance, the first company that comes to mind is probably Geico, thanks to their epic commercials with their lizard and caveman. 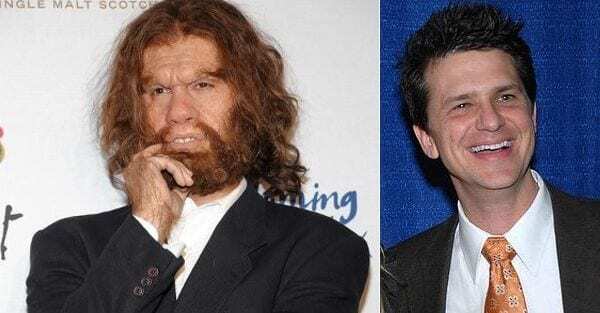 Speaking of caveman, the man behind the makeup is an actor named John Lehr, who, thankfully, is a lot less hairy in real life. He has also appeared on 10 Items or Less. We’re just relieved to see that there is a person under the makeup, we were beginning to question it. The AT&T ad girl, Lily, is one talkative gal in the commercial. 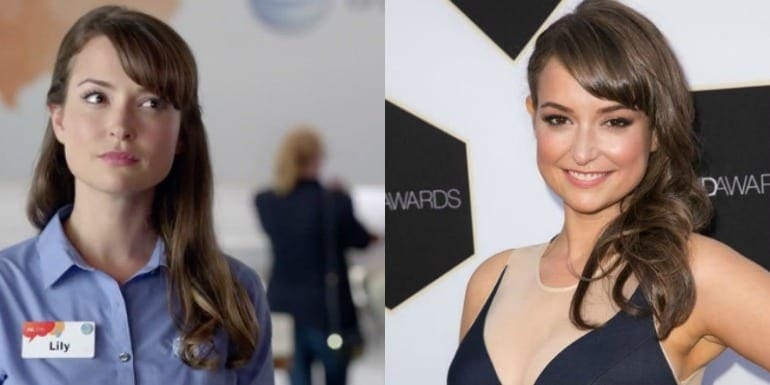 However, actress Milana Vayntrub, is nothing like her on-screen character. She was born in Tashkent and often speaks about her roots. She has been in television productions such as ER, Lizzie McGuire, The Division, The League, House of Lies, Californication, and most recently on the hit show, This Is Us.